José Manuel Enciso Gonzalez, 1917 - 2018. Rest In Peace. In memory of my Grandfather, a Painter, who was my first teacher in the arts. I am sharing a text I published on my Facebook Page. He was the founder of the Institute of Fine Arts of Zacatecas, México, Consultant to the Department of Culture of our state, an Art and Architecture conservationist, a pictorial chronist, writer, teacher and painter, among other achievements during his lifetime. He was honored by the Governor of the state and received several prices and honors during his enduring career such as Honorary Citizen of Zacatecas City. Proud to be featured in the first issue of Paper Journal Mag among many other great photographers from around the world. To order Click here. After a while in the planning, the new Chroma Magazine, a photography and art journal is out around the UK. I'm featured among other great photographers and artists, includes interviews and a look inside in the job of the creators. Happy to be featured along so many great photographers and artists in the first issue of Closing Ceremony Magazine, a specialized photography magazine from Shanghai, China. Published by Same Paper. Closing Ceremony Magazine is a ceremony for the traditional/classic photography and a warm welcoming to the new. 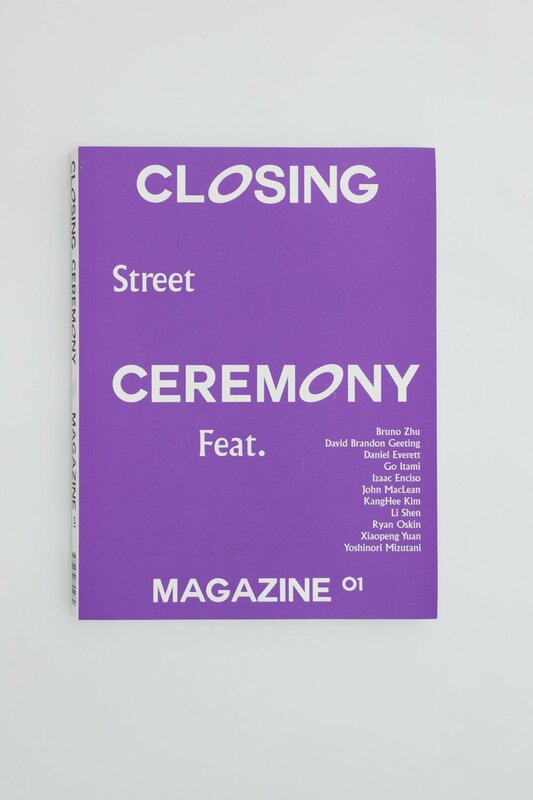 Closing Ceremony magazine début issue features 14 contributing photographers: Bruno Zhu, Corey Olsen, David Brandon Geeting, Daniel Everett, Go Itami, Hiroyuki Sato, Izaac Enciso, John MacLean, KangHee Kim, Ryan Oskin, Sergiy Barchuk, Shen Li, Xiaopeng Yuan and Yoshinori Mizutani, their unpublished new works and interviews along with an essay written by Joël Vachero (Essay Author/ ECAL Teacher/ Visual Researcher) and exhibitions. Following there will be a gallery show with the 20 Finalists at Elizabeth Houston Gallery in NYC on July 19. More info about the event soon. My book Symbols, Acquired by the State Library of Victoria, Australia. I have the pleasure to announce that I have been approved my new Artist Visa in the USA. I would like to thank all the people who have helped me and supported me during the process. It really means a lot in these absurd times. Thank you very much every one of you who have been so kind helping me during the process. First and foremost Justin Gilanyi. Also Francisco Stohr for your support through Acento - and also my friends and collaborators who have showed me support with your endorsements Stefan Ruiz, Marisol Martinez and Feruz Gonzales, Saul Escobar, Carlos Bolado, Marco Casesse, Antonio Macia, Dola Baroni and Henry Diltz, Hector Ramirez, Neil Shield, Edgar Hernandez Bringas, Juan Cruz Bobillo, Claudio Vera, Erik Carrion, Marcelo Layera, and lastly to Polutan Law for your representation. It’s time to keep working hard, and I’m very happy to continue with current and new projects, new opportunities, travels and collaborations. I was glad to participate in the 2016 photobook auction at the Mass Art College of Art and Design, which is aimed at supporting the publication of the Senior Photography Catalog. Such catalog helps students publish their theses to promote their work and careers. Excited to announce that my book symbols was acquired by the National Library of New Zealand and it was just added to their art book collection. The Designers Institute of New Zealand has awarded my book Symbols with bronze on the Best Design Awards 2016. Click on the image to visit page. Very grateful to be invited by Standard Vision and the generous Sinziana Velicescu to take over the Standard Vision Large Screen in Downtown LA near the Staples Center. The take over goes from Sept 12-18 - 2 times every hour. The screen is located at 901 W Olympic Blvd. I was recently interviewed by Kelvin Soh from Le Roy, for a feature in TUNICA Magazine from NY and Barcelona. Here are some images of the Magazine. 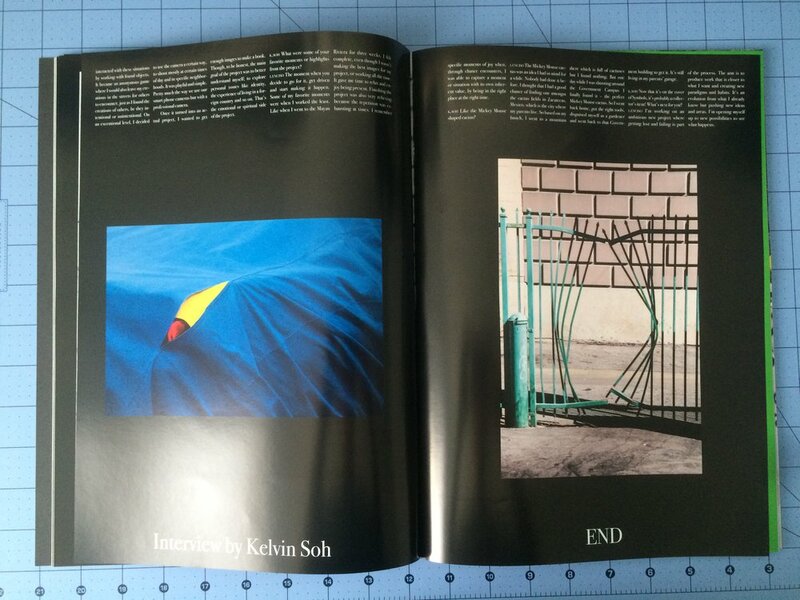 My photography book Symbols was recently archived in the SPBH collection. Self Publish Be Happy have established themselves as one of the main contemporary photography publishers, curators and collectors. They collect books that are being published by up and coming photographers and artists. 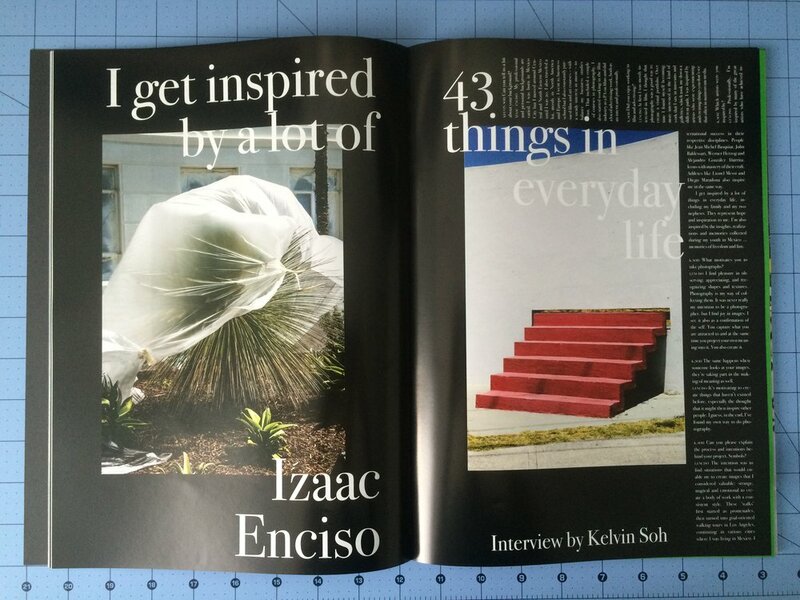 Happy to know about this fun feature of my book release at the important FLAUNT Magazine. 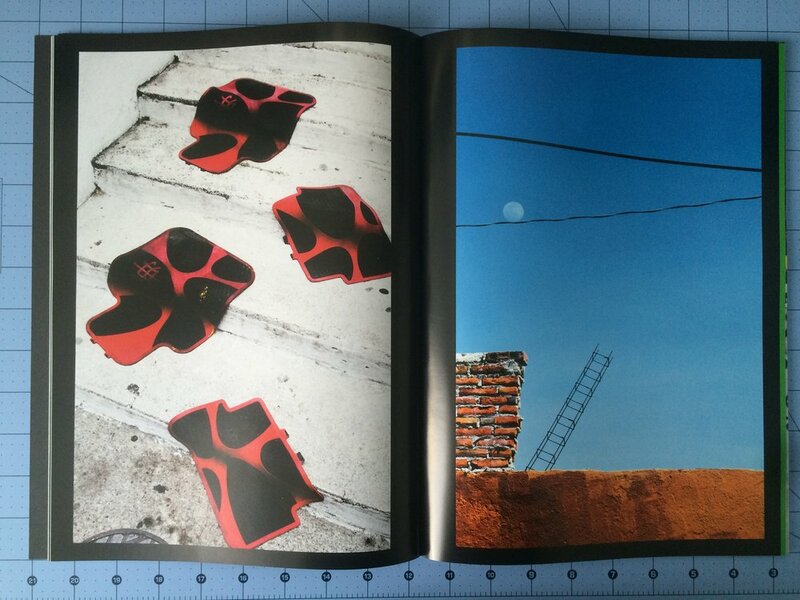 The release of my book Symbols at the LA Art Book Fair at MOCA was a success. It was a great pleasure to see a lot of good old friends and meeting so many new interesting people at the fair. It was really great to have people coming to our booth to get their book signed. We sold all the copies available at the fair. Please Join me for the signing of my book SYMBOLS Published by Le Roy and Edited by Kelvin Soh. You can buy the book online now or at the fair. More info will come soon. I was recently invited by Patricia Karallis, head of Paper Journal Mag, to do a take over on the magazine's Instagram page while transmitting directly from the Los Angeles Art Book Fair. Beautiful article by This Is Paper Magazine from Poland.